One of the advantages of being an independent coach is that I get to connect with other coaches around the world, usually using either LinkedIn or coach-centred sites. I often find that these individuals are floundering a bit. They feel they are lacking a focus; that they are looking, most of all, for clarity. And I have realized from talking with them that the reason for this lack of clarity is that they have yet to identify their niche. What is your niche? This is a question I seem to be asking more and more of both my clients and the other professionals with whom I talk. Think of coaches, for example. There are thousands of us out there now and the list is growing. Coaches come in many different sizes and shapes: there are career coaches, life coaches, fitness coaches, wellness coaches, business coaches, executive coaches, leadership coaches. The list goes on and on. The same can be said of lawyers or accountants. There are specializations in each of these such as family law, corporate law, and real-estate law; again the list is lengthy. The idea of focusing on a specific niche or speciality isn’t just for professionals. I can think of a few trades where the same applies, for example, an auto mechanic that specializes in high-end foreign sports cars. I’m sure you can think of several; some have probably come to your mind as you read my list. Why is having a niche this important? Firstly, you are not the only one doing what you are doing, so how do you differentiate yourself from the crowd? What can you do that says, “See me, I’m the one you need to deal/work with?” Being able to differentiate yourself from the rest of the crowd helps you find clients. Secondly, it helps you focus your own attention on where your prospective clients may be; where they “hang out” either physically or virtually. For example if you find that your work is mostly with HR professionals, research the times and places for their local meetings, connect with their association, read their publications. 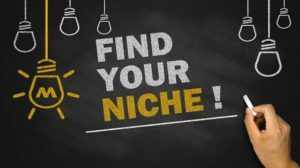 How do you find out what your niche is? If I focus on a narrow area of my business, won’t I miss other opportunities? My experience has shown me that by focusing on a narrow area of your business, you will also attract other business — it seems to show up anyway. 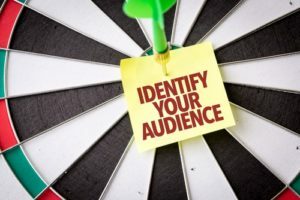 It seems counter-productive but if you spend your limited resources in one area, promoting yourself to a narrow market and to a specific group you will not only start gaining notice and traction there but it will spill over into other areas you have never even considered. How narrow should the focus be? As narrow as you can make it. I was talking with an individual last week who had reached out to me. She is an HR professional who is working at establishing her own HR practice but was having challenges getting it off the ground. When I asked her what she would like to take away from our conversation she stated clarity. We talked a little about her background, which was predominantly in career transition work, and I asked her what she enjoyed most about that work. Her response was helping others get their CVs together and helping them get ready for doing interviews. Over the next 10 to 15 minutes we explored what that looked like, why she enjoyed it so much and in fact as she talked she recognized that this really is her passion, and if she could do only one thing it would be this. At the end of our call she had an action plan that included reaching out to a specific group of people to conduct workshops which had the potential to attract clients. She had found clarity. HI John. I hope this finds you well. First, thanks so much for meeting with me back on Jan 26. I thoroughly enjoyed the chat and the coaching was very helpful.. Focus, as your next blog post indicated, is a behavior that holds me back. And I am making progress – painfully slow – but I believe positive. As your post last Friday indicates, having a coach is very helpful in achieving accountability. Wish I could afford your services on an ongoing basis….but need to get some $ first! Those said, I look forward to seeing you Thursday at 7 for the mens group.